On Quebec’s national day, June 24, protests took place around the world against a proposed Quebec government $58 million subsidy to revive Quebec’s dying asbestos industry. This subsidy would allow the inidustry to open a new Jeffrey underground mine and export 5 million tonnes of asbestos to the developing world over the next twenty-five years. Quebec’s Jeffrey asbestos mine was the world’s biggest open-pit asbestos mine. For the past century, it exported asbestos all over the world. Today, it is barely surviving. It is under bankruptcy protection and ceased operations last October, having no more asbestos. Industrialized countries, who received Quebec’s vast asbestos exports in the past, today are experiencing asbestos disease epidemics. All these countries have now banned asbestos or, if they haven’t banned it, simply refuse to use it. Private investors refuse to invest in the mine.The mine owes $50 million to the Quebec Pension Fund and owes $30 million for clean-up costs of the environmental mess its mine has created. Former workers at the Jeffrey mine lost a chunk of their pension funds in the bankruptcy agreement. Prime Minister Harper and Premier Charest are strong supporters of the asbestos industry and fund the industry’s lobby group, the Chrysotile Institute. Canada is a leading world propagandist for use of asbestos in developing countries. On June 24, protests against Quebec and Canada took place in Hong Kong, Seoul, Mumbai, New York, Washington DC and Brussels. The roads are chaos all just for a dusting of snow, its always the same every year. Anyway I decided to pull the washing machine out (with Rays help) and I cleaned all the floor underneath it but we found 2 screws–oh no where from but we found they had come out the casing and was able to screw them back in and then we had a leak on the pipe under sink. The washer had gone so Ray had to go out in the snow to B&Q honest we could buy shares in that shop the amount we spend there. He came back with 2 new pipes and fittings gone are the days when you got two in a packet £5.00 they now sell them seperate at £5.00 each. But the washing machine has been going for 10 years and that’s the first time we have spent money on it. touch wood!! We then went to the post office to post a parcel to Australia I felt quiet excited doing that silly isn’t it. We carried on walking around and saw the snow on the beach again for the second time this year. The Harbour looked pretty again as it always does in the snow. Tonight as I took the dog out it is sleet snow and it is crunchy under foot so I think there might be problems tomorrow but toight at least we are lovely and warm and cosy indoors. A new test to find Mesothelioma??? Asbestos has long been a silent killer, affecting people many years after exposure. Its deadliness is compounded by lack of effective methods to diagnose one of the cancers associated with asbestos, the tumour mesothelioma. However, a new technique may now help doctors in diagnosing malignant pleural mesothelioma, a relatively rare cancer, but one whose incidence is growing quickly. The median survival time of those diagnosed with mesothelioma is 12 months. “Pleural effusion, or the accumulation of fluid in the pleural cavity, can be maddeningly difficult to diagnose as a wide variety of malignant and benign causes exist,” said the lead author of the study, Dr Helen Davies, from the Oxford Centre for Respiratory Medicine and Oxford University. The current test for mesothelioma is not very sensitive, so researchers looked at a protein released in high quantities into the pleural fluid of most patients with the tumour. They found that levels of the protein were almost six times higher in patients with the tumour than in those with secondary lung cancers, and 10 times greater than those with benign conditions. “An earlier diagnosis also allows speedier interventions to relieve symptoms as well as initiation of other treatments such as chemotherapy or radiotherapy if appropriate,” Dr Davies said. Exposure to asbestos is the main cause of and accounts for the majority of mesothelioma cases. Occupational exposure to asbestos is highly regulated in the UK. The study appears in the September 1st issue of the American Journal of Respiratory and Critical Care Medicine. Everywhere in the country seems to have snow but us, not that Im complaining as I dont want to want to see it. It is chaos on the roads when we get it as only a few centimeters seems to be such a pain and bring everything to a stand still. I have been relaxing over the weekend after all the exciting news Friday so watched Strictly, X factor and the jungle as the whole country seemed to and we had a lot of fum on facebook with it. We took the dog out and the wind was very cold but OK when you got it on your back. 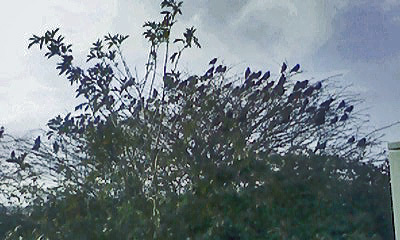 Today we had a walk and a tree had birds all roosting in it just like the film Birds. Ray tried to get near but I was scared incase they flew away they seem to live here through the winter. We posted off a Xmas present to my elder brother and sister in law and Ray hasn’t wrapped each present in Xmas paper, silly boy it means they will have to keep the whole parcel under the tree but it wont look seasonal, never trust a man ha!ha! Christopher Hitchens talks to Jeremy Paxman about his treatment for oesophageal cancer which has now spread to his lymph nodes and lungs. I have to change the way I feel from now on, as up to now I have been so wrapped up in medical things and the thought that I was looking at death in the face. Now it might, just might be, that I have cheated the death sentence for the time being and I can look living in the face. As the Doctor has don’t question just get on with it and that’s where I’m at today. 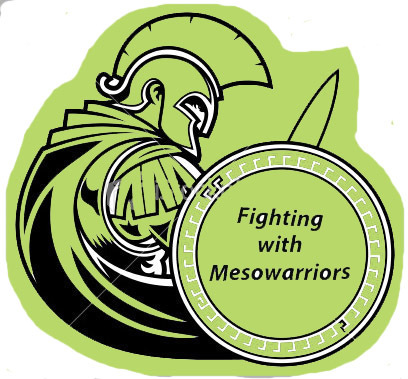 From now on this will be a diary of my life and Living with Mesothelioma. I had an appointment for a massage as it was a Christmas present from a friend last year, but Betty had a baby and life got very busy for her but she is back in business again. It is only around the corner from me so it didn’t take long to drive there on the very frosty road and I rang her bell and Betty took me to her back garden to a summer house sort of building but inside it was a beauty parlour with a couch and loads of weird electric equipment and plenty of nice smelling pots of creams etc etc. A fire was blowing warm air so it wasn’t cold as I stripped off and laid on the couch while my eyebrows were waxed ouch!!! it does hurt a bit when the odd hair is plucked. I then laid on my tummy and had a back massage which was oh so nice as my lung area was rubbed and kneaded with lots of oils going in. It was soon over though and I said my goodbyes. feeling very relaxed. Back home we had to wait for the BT man as we have had very slow Internet and he arrived to sort it all out. Lots of testing has proved the line is OK but it is the Modem that is creating a loop fault on the line so we have had to order a new one which will come next week. The old one is working better though so we are already happy but we will see what the new one works like. The snow hasn’t got here yet but we will see what the night brings as we could wake up to a very white world. I enjoyed it at the beginning of the year when I was still feeling bad from chemo so I’m really going to enjoy it this time around. My Diary Scan result today. We traveled back to Canterbury today via the Park and Ride as too park at the hospital is a no no it just has to many cars parked there. They were running late but I never mind that as there are so many people who are suffering with cancer there that look so ill that need attending to such an eye opener to the way this disease is hurting people. A lady that couldn’t talk properly with Cancer of the throat a man by my side who had prostrate cancer and women with bald heads so brave not to wear scarves, wigs or hats. All coming everyday for radiation treatment. When I finally got in Doctor Cosmos had a young girl with her who is thinking of training in the field of Lungs. I was then told there is more shrinkage infact although the tumour wont go away and is always there it has shrunk back into a thickening. Im now a unique Patient. The Doctor said she has 2 other women under Canterbury that are doing Ok but nothing like what has happened to me. She said she doesn’t know why its happened just accept it has so dont question it just enjoy the fact it has happened. It was good to hear so we traveled back into the City and had a great meal in Weatherspoons –we knowhow to spend money!!! !